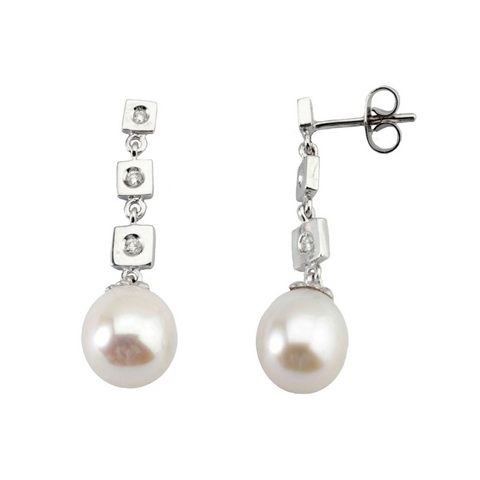 White gold 18 KTES EARRINGS, Pearl cultivated. STONES. COLOR DIAMONDS. H-I PURITY 2 VS SIZE. BRILLIANT WEIGHT. 0.10 KTES with guarantee card.